The humble sprout is well-known as the Christmas vegetable, but let’s face it, other than this one day a year (and maybe as Boxing Day leftovers) this hardy veg is rarely seen on British plates. Many of us claim that we don’t like the taste or it’s not the exciting, but that’s just not true – this could be said of most other British-grown vegetables that we happily cultivate and eat throughout the year. 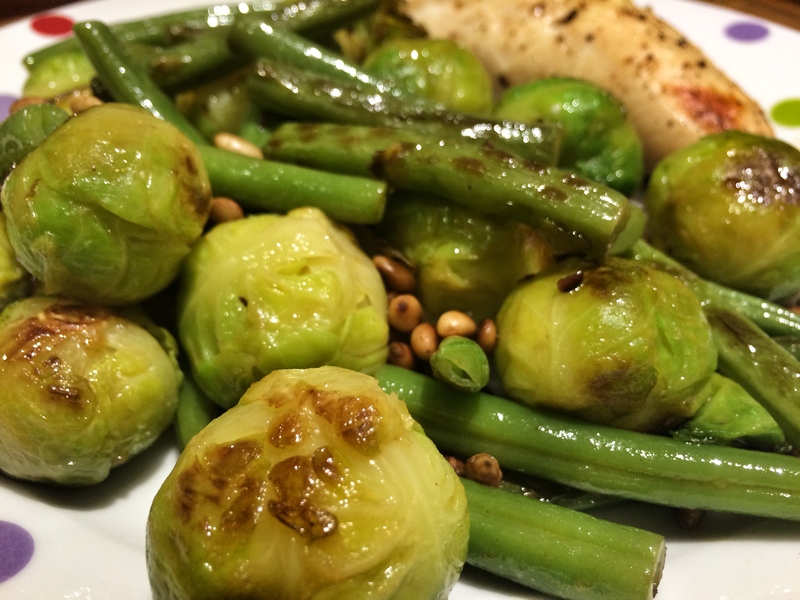 The Brussel Sprout is in season throughout Autumn and early Winter. We at Season’s Eating are on a mission to prove that the sprout is more versatile than it first may appear, with our current favourite three Brussel Sprout (‘BS’ for those using the lingo) recipes. Prepare the sprouts by washing, peeling off the outer leaves, trimming off stalks and cut any larger ones in half. 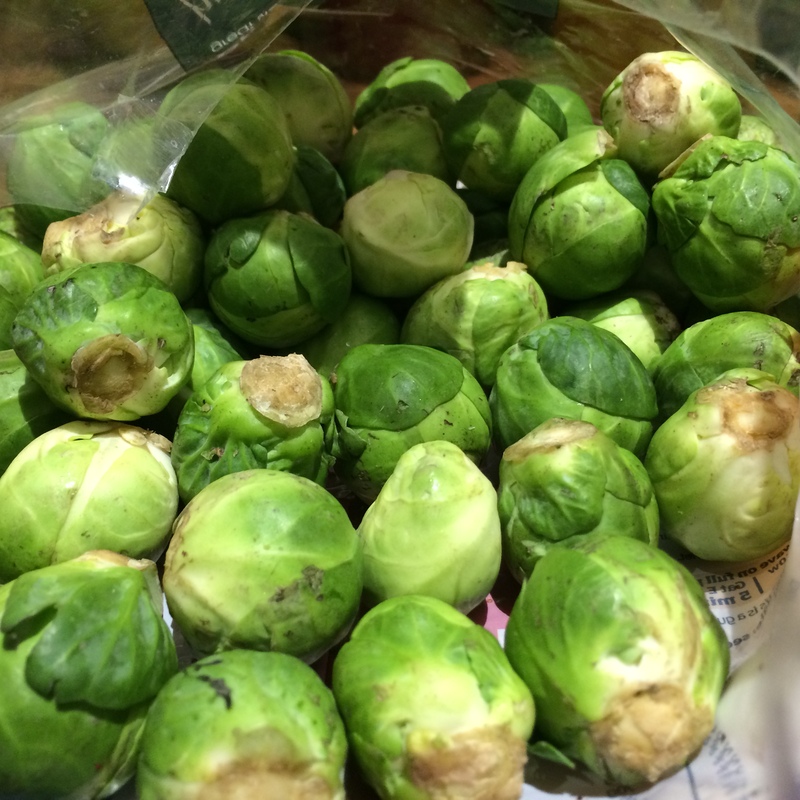 Par-cook the sprouts in salted boiling water for 3 to 4 minutes, any longer and they will just go soft. Add the sesame oil to a frying pan (or wok if you have one) and turn up the heat to high. Once the oil is hot (this should only take a minute), add the ginger and stir fry for 1 minute before adding the prepared sprouts. Stir fry for 3 minutes, then add a generous sprinkling of sesame seeds and continue to stir round for another 2 minutes. If the sprouts start losing their bright colour, it signifies they’re definitely done so take off the heat immediately. Serve up with whatever Asian food you desire, teriyaki salmon and noodles in our case. 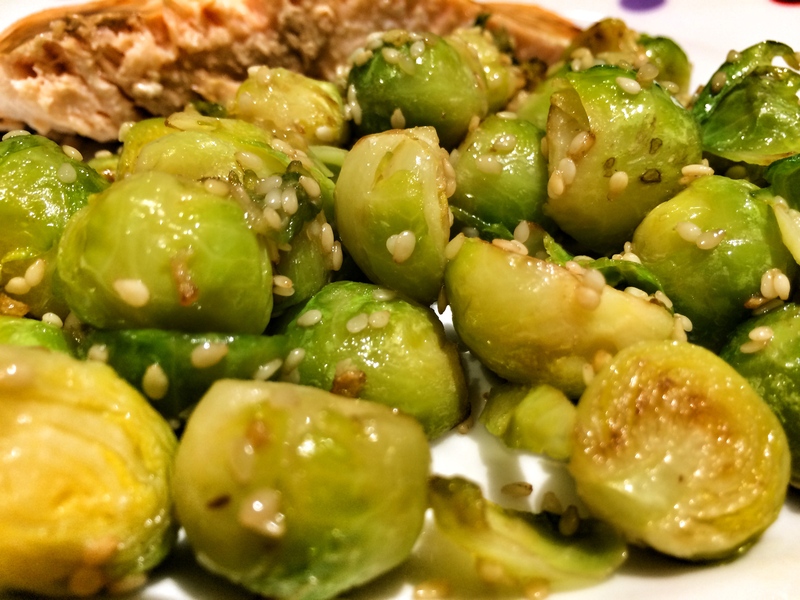 Put the sprouts in a large pan of boiling water and cook for 8 minutes. Drain and leave to steam dry whilst you search for a potato masher. Squash the sprouts gently put firmly (so they don’t accidentally fire off in all directions) until each sprout is at least partially squashed. You don’t want them to be completely puréed, still chunky. 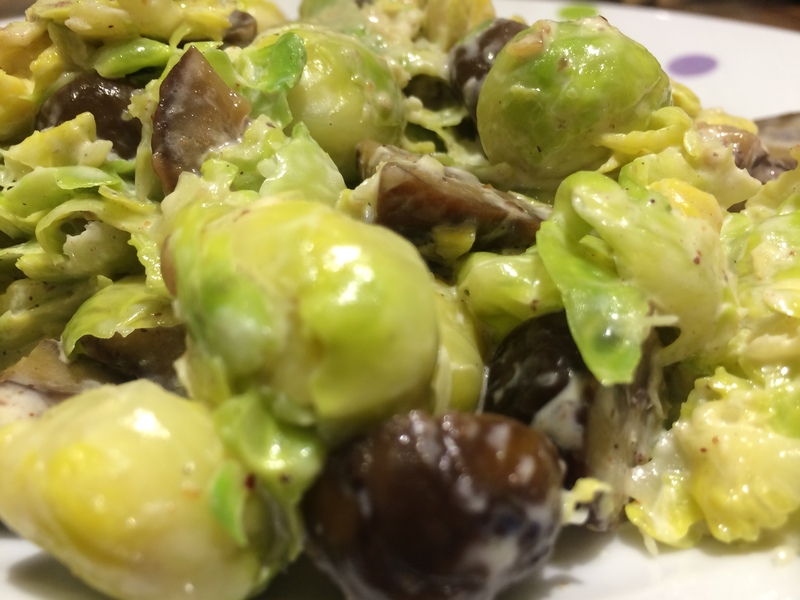 Tip the sprouts into a frying pan with the butter, cream, nutmeg and a little seasoning. Cook over a medium heat for a couple of minutes, stirring, until the cream is just bubbling. Add the chestnuts and cook for another 2 minutes before serving as a side dish. 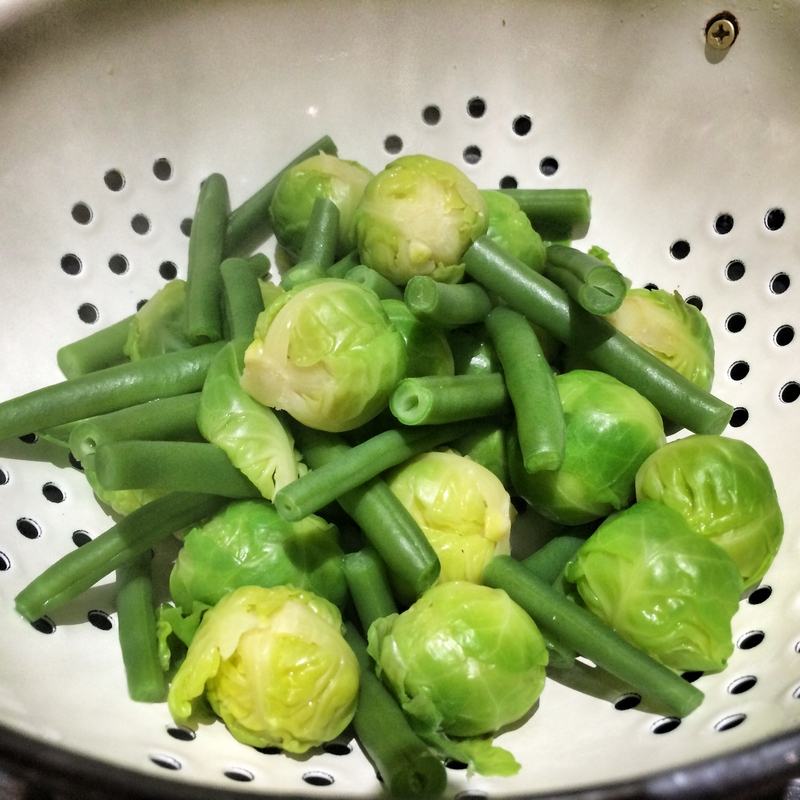 Whilst your bring a pan of water up to the boil, top and tail the green beans and half any of the larger sprouts. Add both to the boiling water and cook for 3 – 5 minutes. Heat the sesame oil in a wok or large frying pan. Drain the sprouts and beans and add to the wok with the pine nuts. Toss through for 3 – 4 minutes until they start to get a bit of colour. 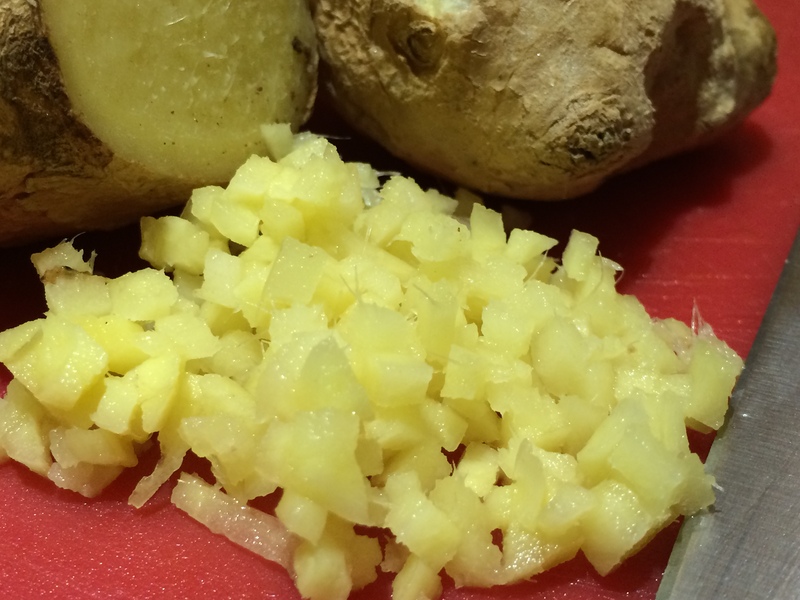 Add the Yuzu juice (use lemon juice if you can’t get this) with a little seasoning and continue to stir-fry for another 1 – 2 minutes. Enjoy as a side to any dish, be it asian cooked meat or something more traditional like roast chicken with roast potatoes.